▷ Volvo Sensus update. Speedcam for your maps. Download update. Free custom download. 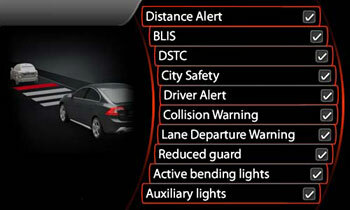 In order to update your GPS device: Volvo Sensus with the latest update, follow next instructions. First of all, be sure you got the update file for your Volvo Sensus device, downloaded from SpeedcamUpdates.com. Upload the files into your Volvo Sensus device selecting the option "Import POI". This information will be able to be imported in your Volvo device if the version of your current software is 0997 or above that. Select the usb stick as a data source. Select the first file with extension GPX and press OK. Data will be read automatically. After finish the data import, you will be able to assign a new sound to the category. Unfortunately the icons are preinstalled and can not be changed. Finally choose Save and press OK.
Repeat this procedure for each GPX file.